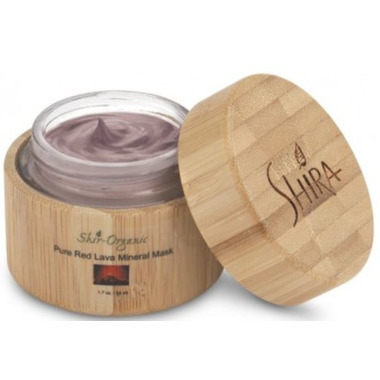 Purify and balance eruptive skin with this Shir-Organic clay-based, oil-absorbing Pure Red Lava Mineral treatment mask. Salicylic Acid combats topical bacteria and blackheads commonly associated with congested skin. Red Lava clay, rich in minerals, detoxifies and draws out impurities. Rich in Vitamins C and A, Beta Hydroxy Acid and natural source enzymes. Ingredients: Water, Bentonite Clay, Olive Oil, Papain, Bromelain, Salicylic Acid, Licorice Root Extract, Grape Skin Extract.